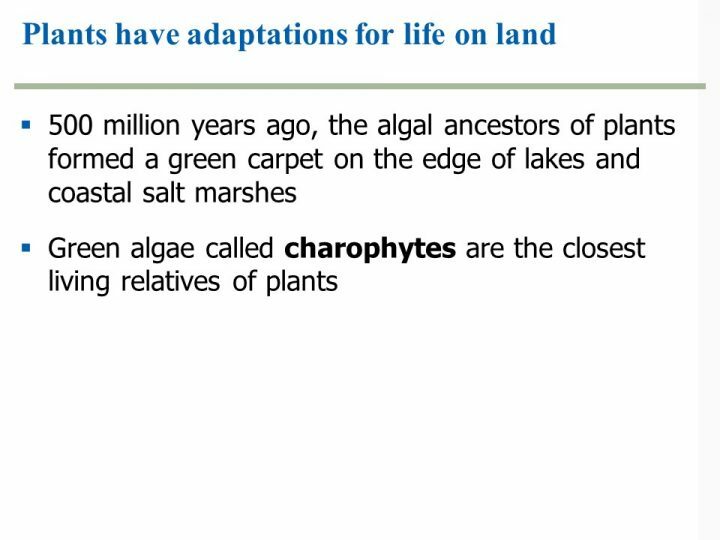 Plants are derived from green algae (protists). 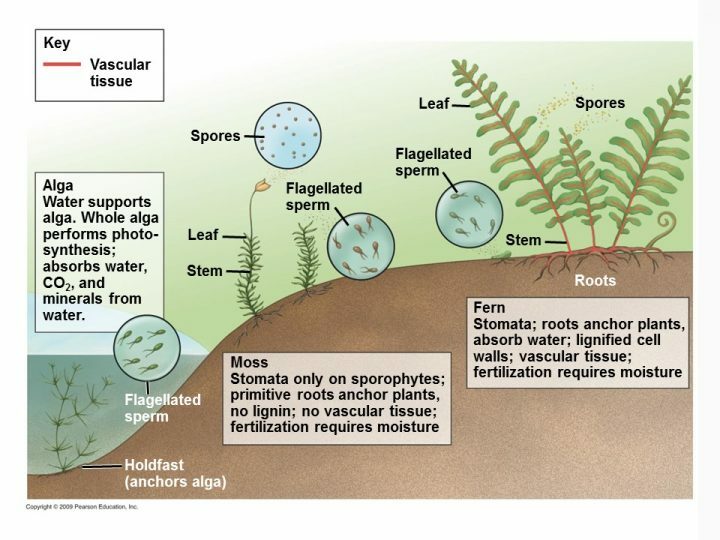 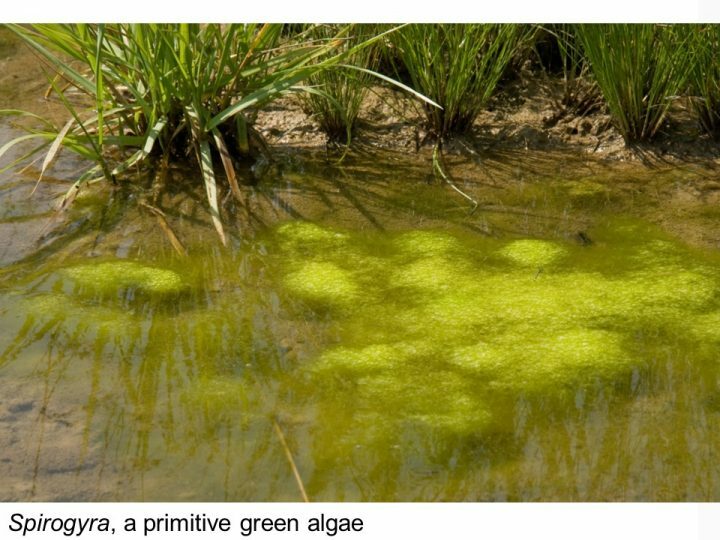 Most algae are aquatic protists. 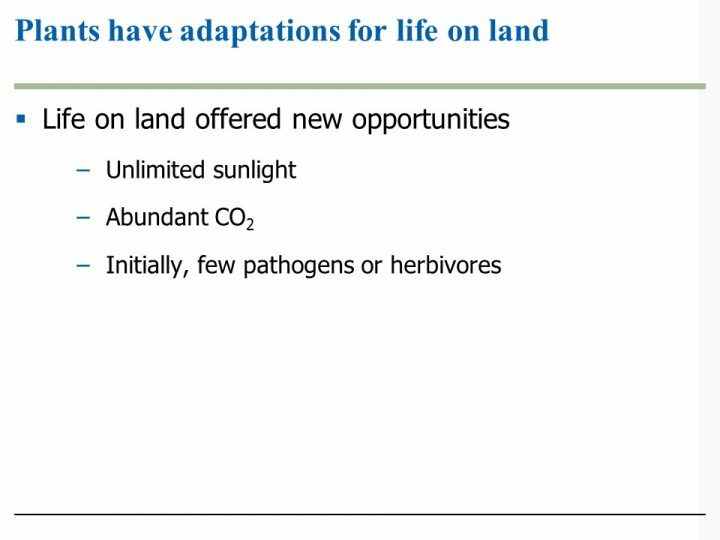 Life on land presented opportunities. 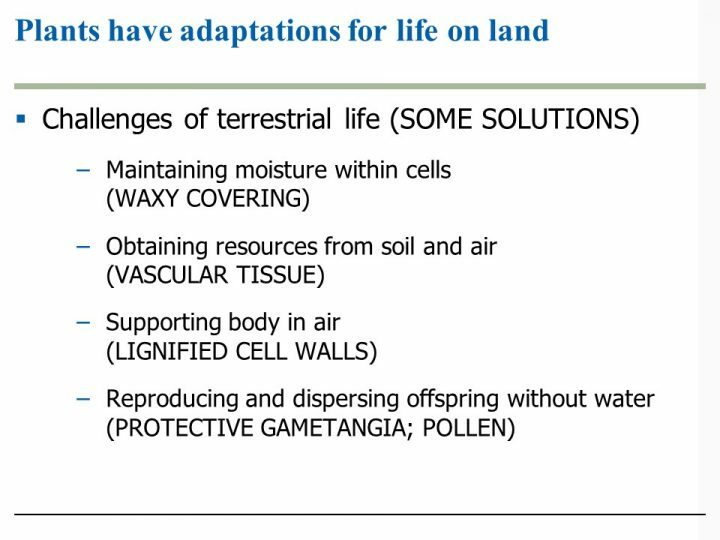 Plants meet the challenges of terrestrial life in various ways. 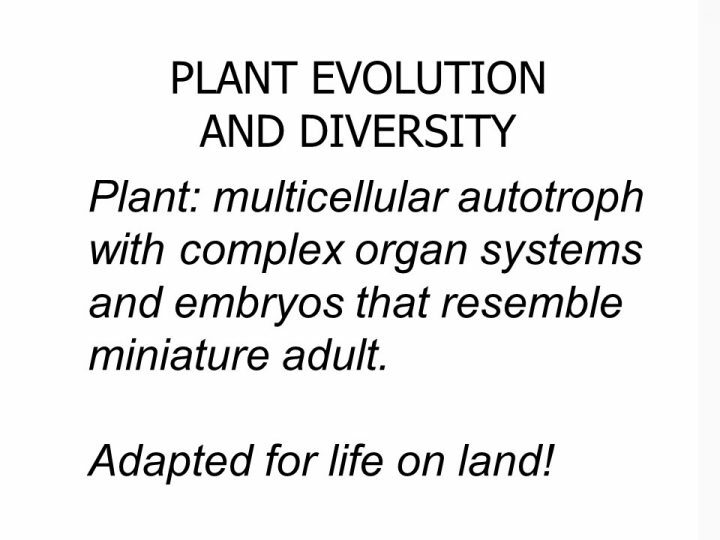 Key adaptations in the evolution of plants. 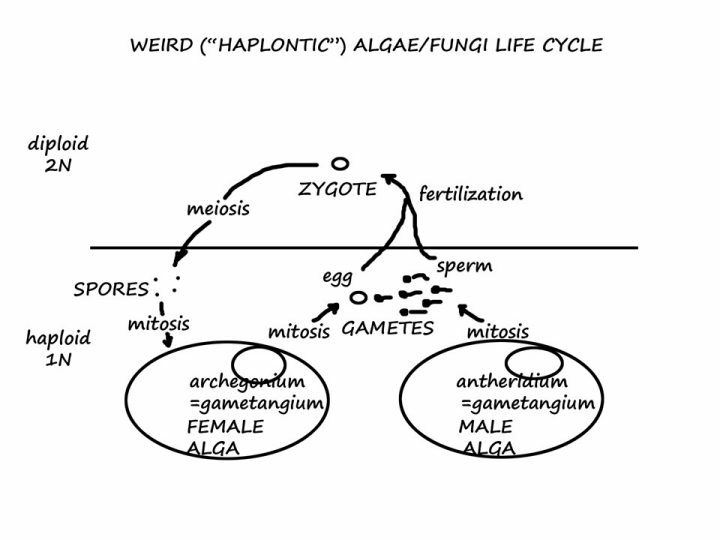 Figure from Campbell, et.al. 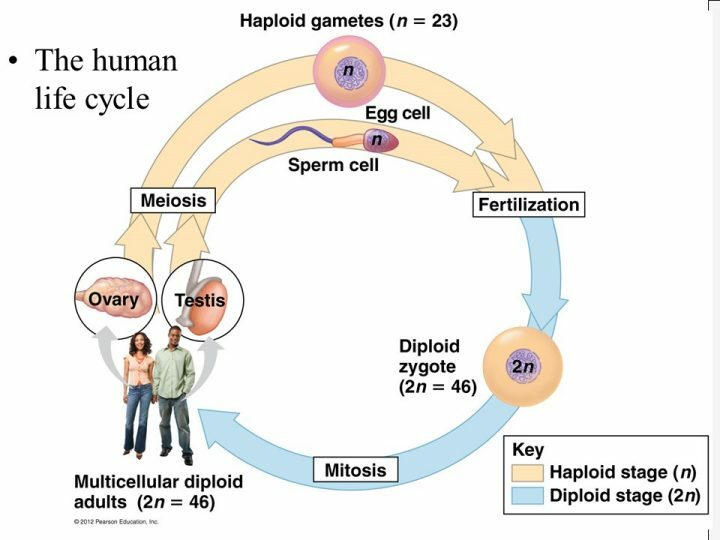 Biology, 10th ed. 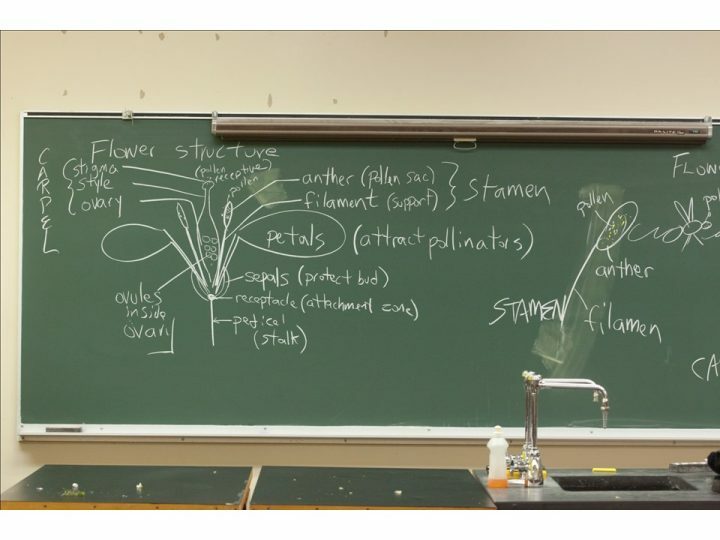 Pearson/Benjamin Cummings, NY. 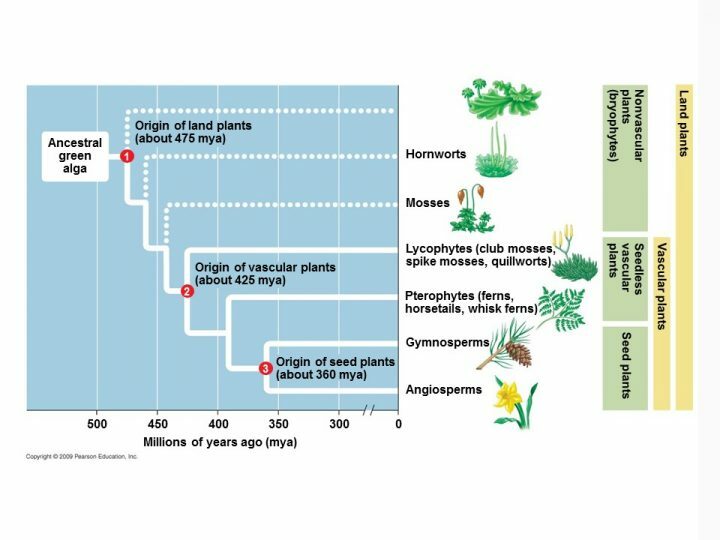 Phylogeny of the plant kingdom. 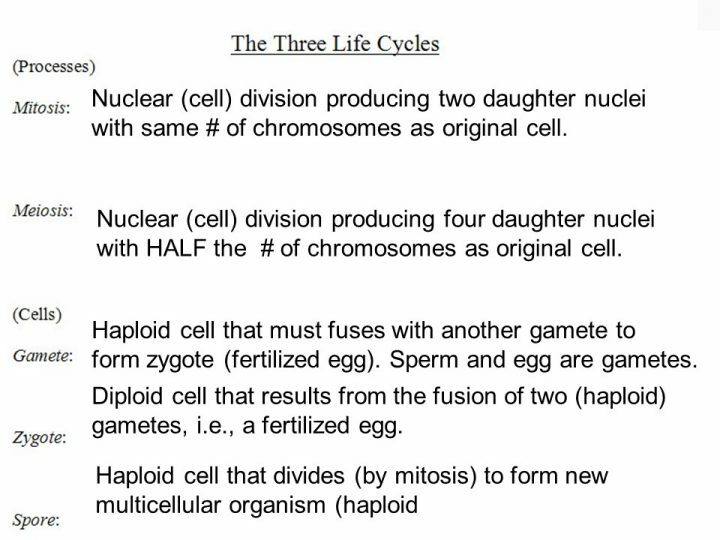 Nuclear division processes, and reproductive cells. 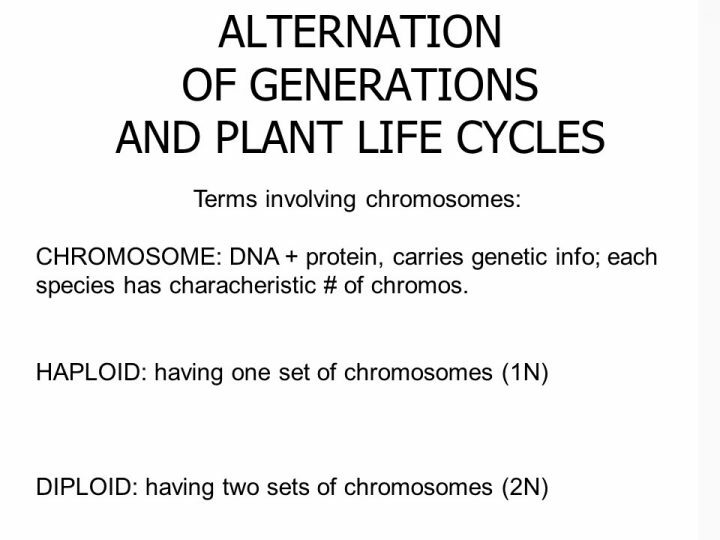 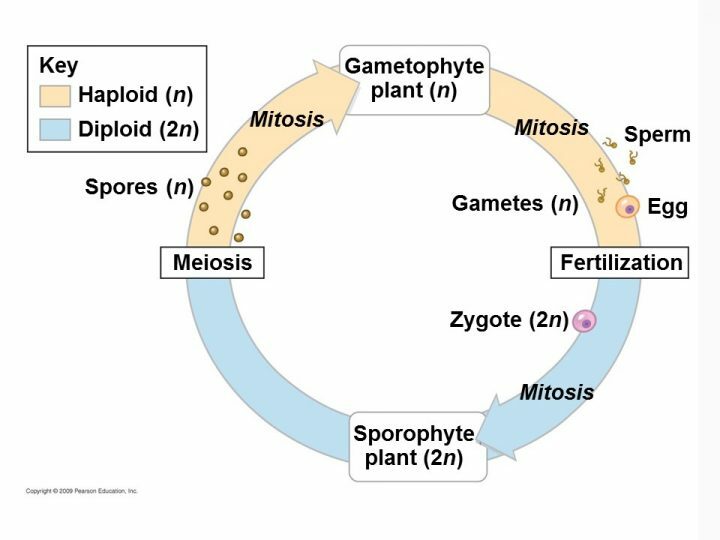 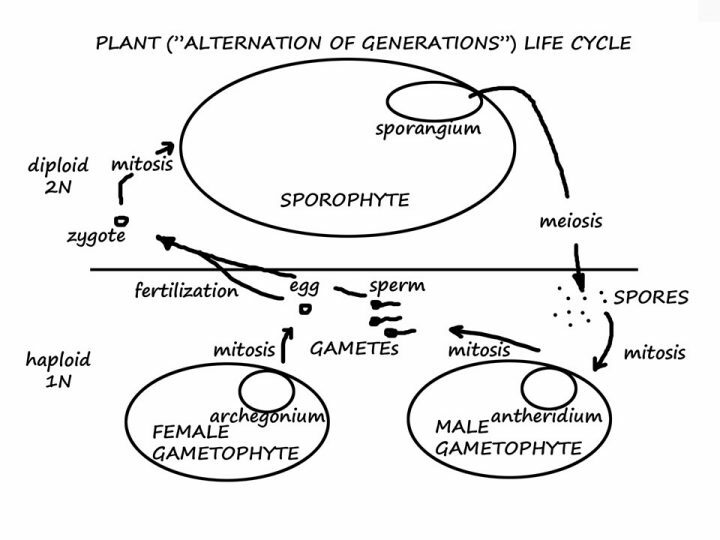 Another view of the plant life cycle. 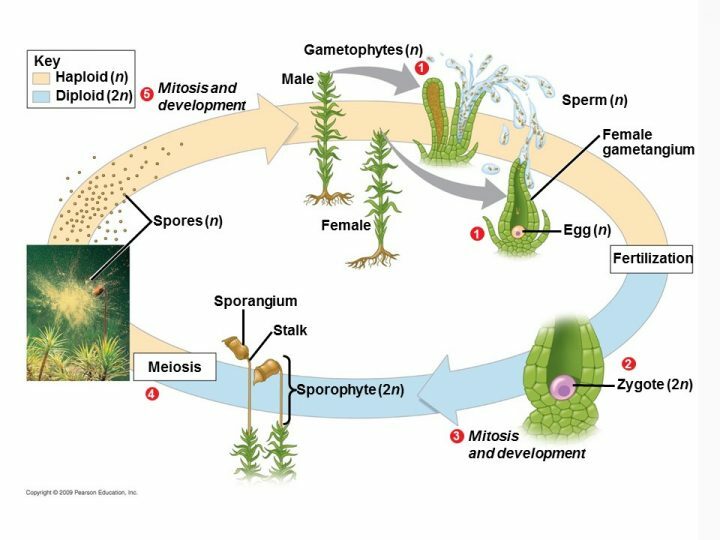 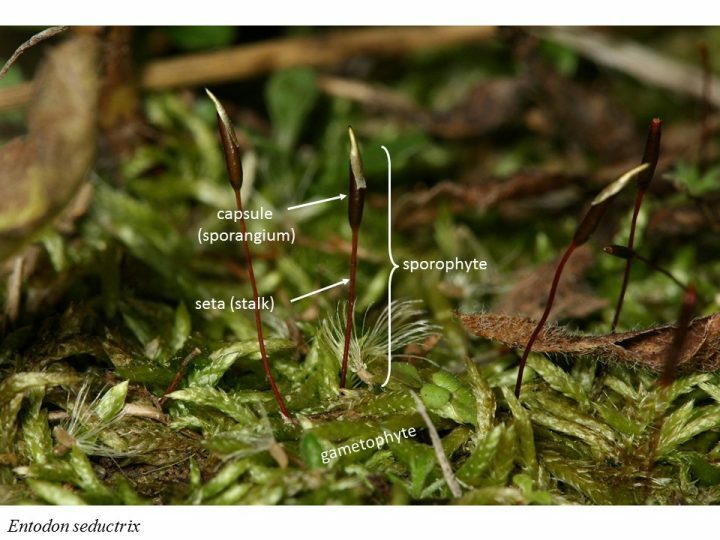 A moss showing both gametophyte and sporophyte stages of the life cycle. 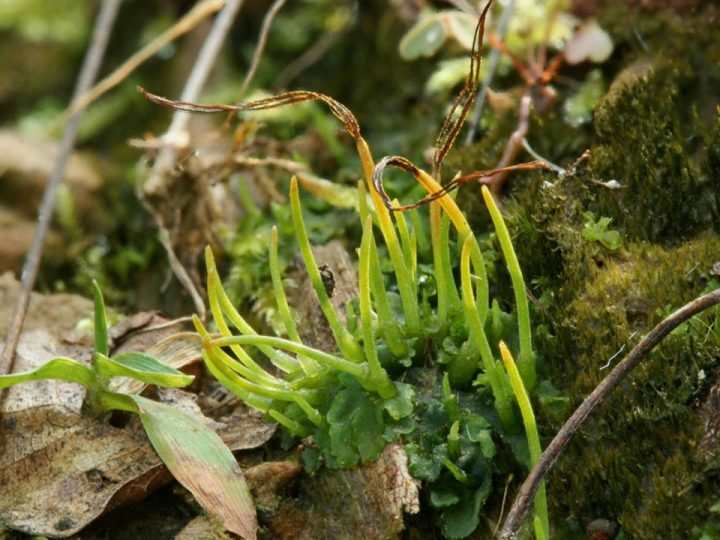 In bryophytes, the gametophyte is the dominant stage. 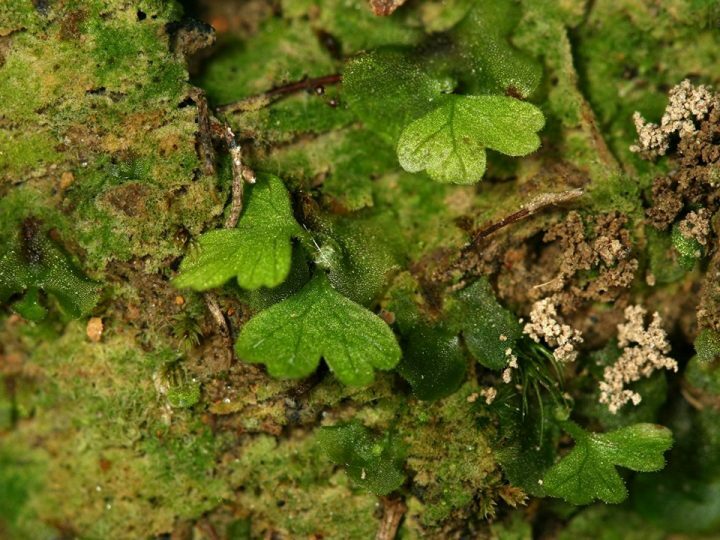 Liverworts are a separate “bryophyte” phylum. 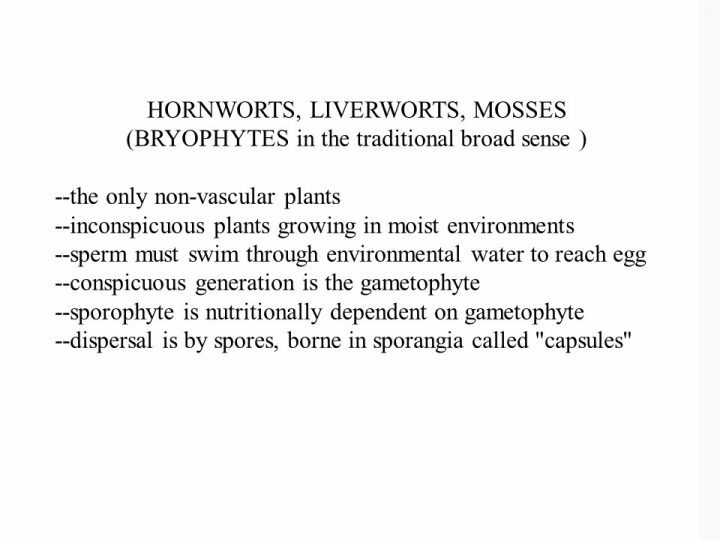 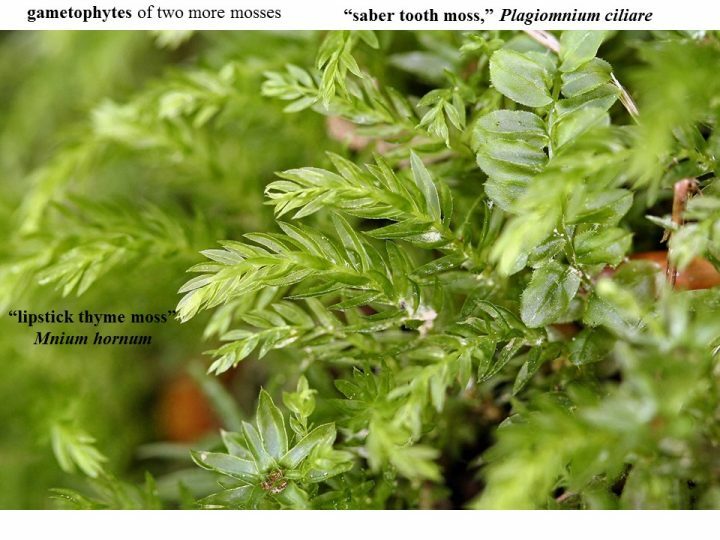 Hornworts are a separate “bryophyte” phylum. 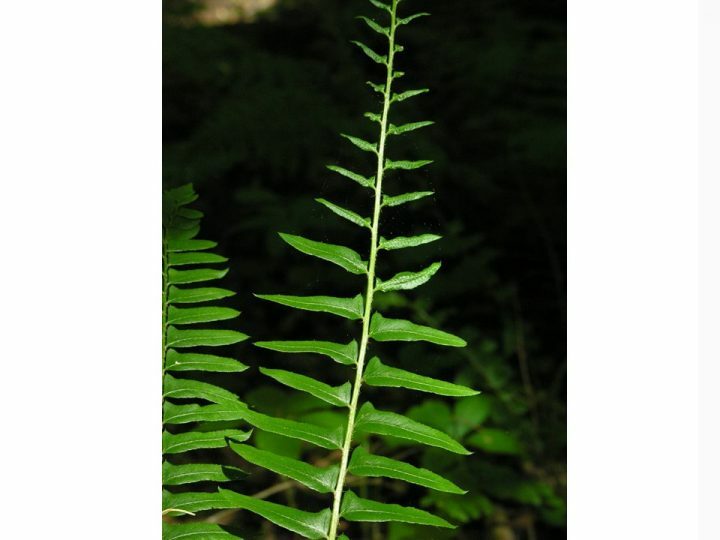 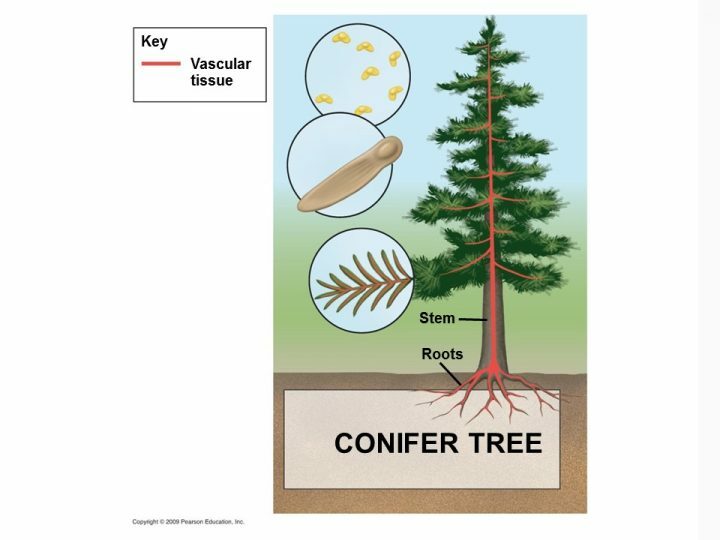 The familiar fern plant is a sporophyte. 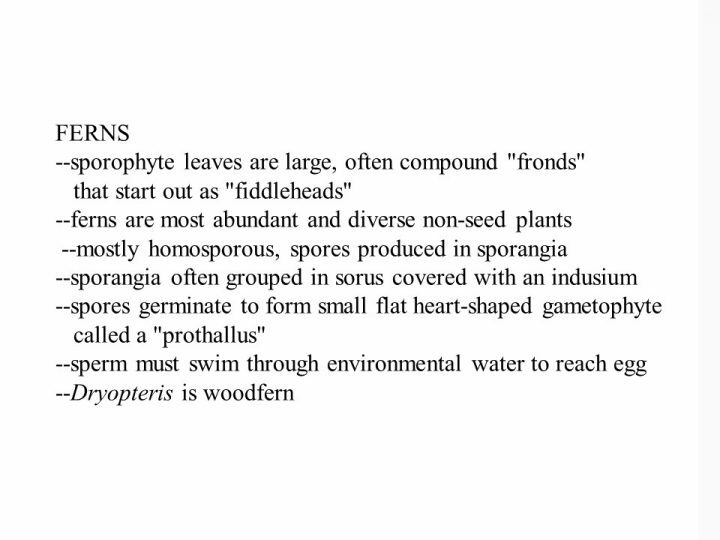 Fern gametophyte is green, tiny, flat, and separate from the sporophyte. 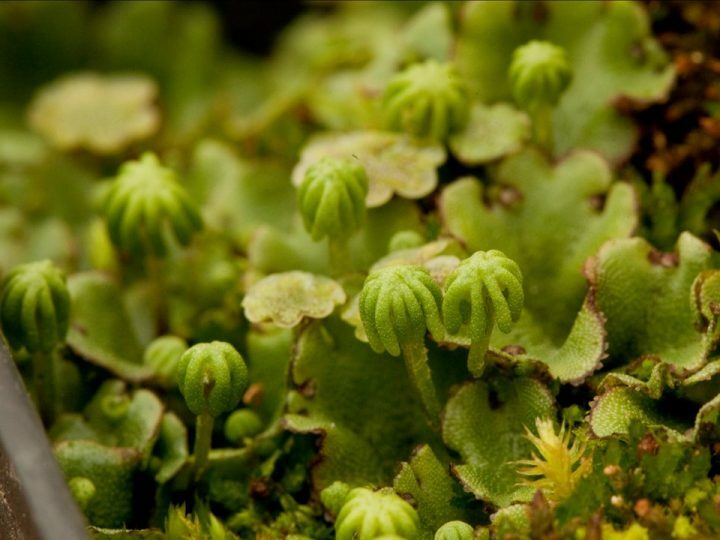 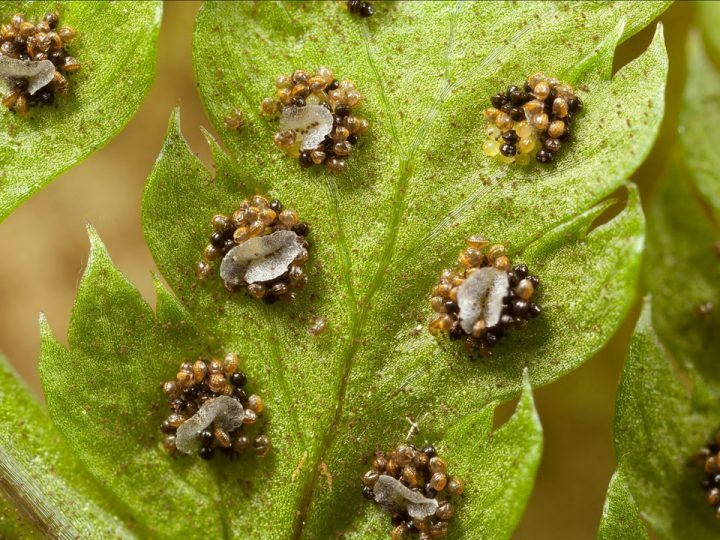 The undersurface of a woodfern bears sporangia. 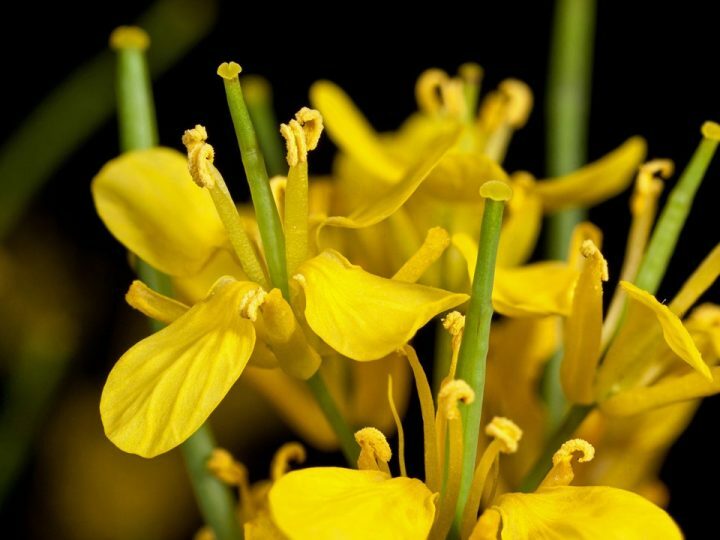 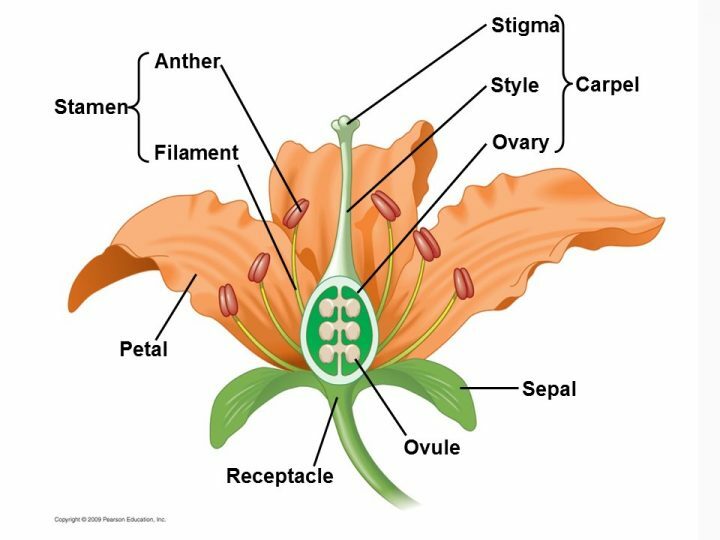 Flowers are aggregates of sexual organs in angiosperms. 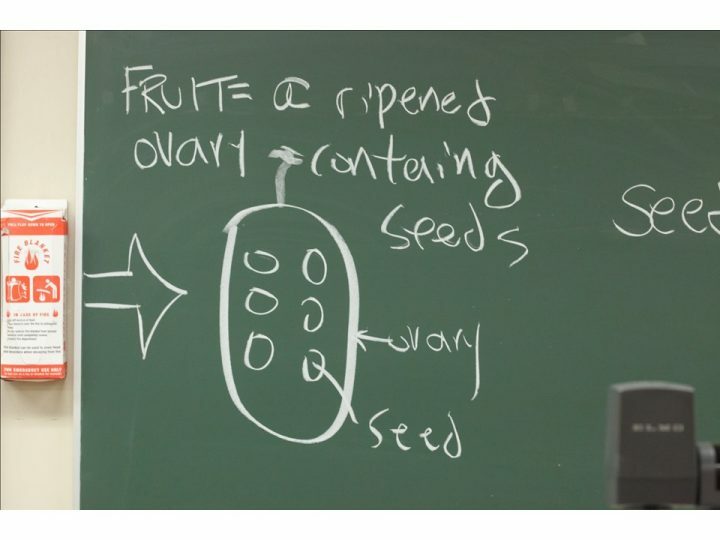 A fruit is a ripened ovary containing seeds. 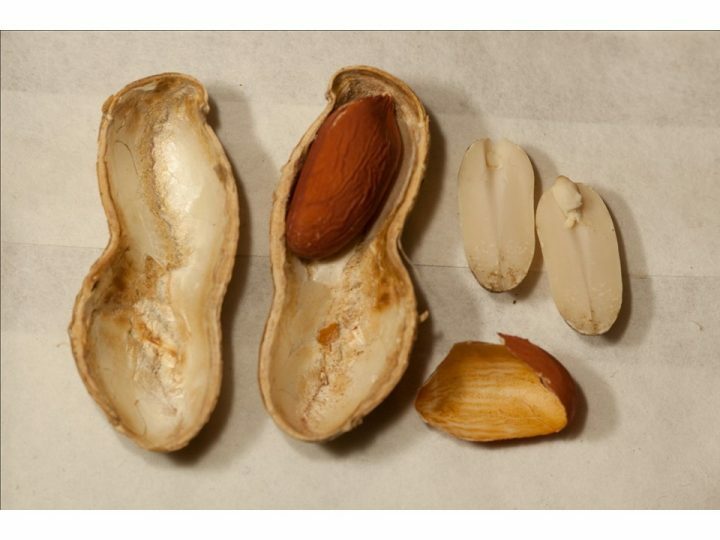 A peanut is a fruit. 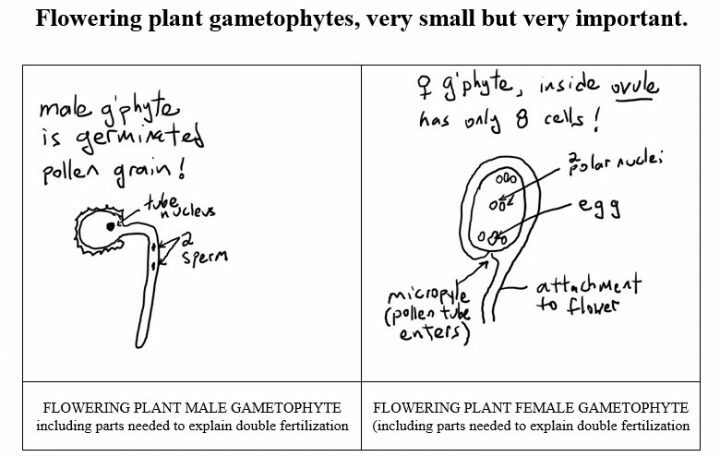 Flowering plant gametophytes are tiny. 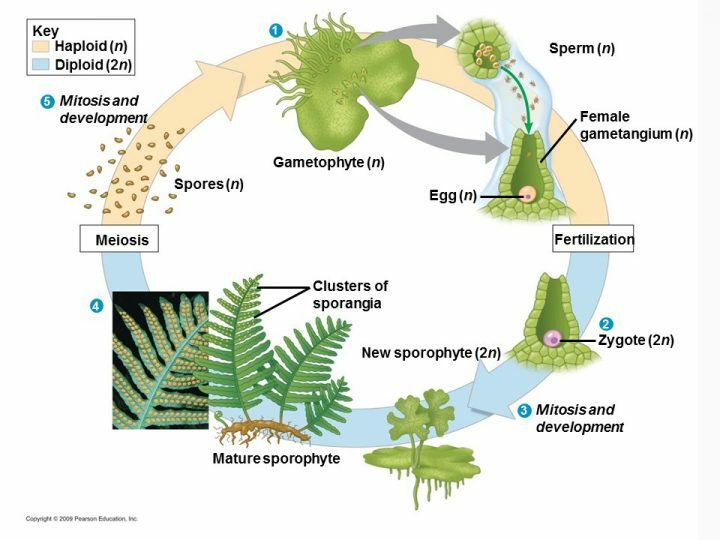 In fact, the female gametophyte is contained completely within the sporophyte! 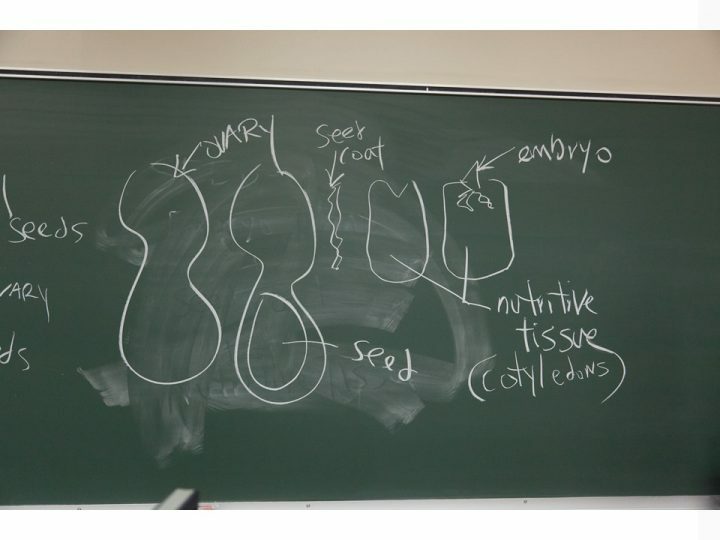 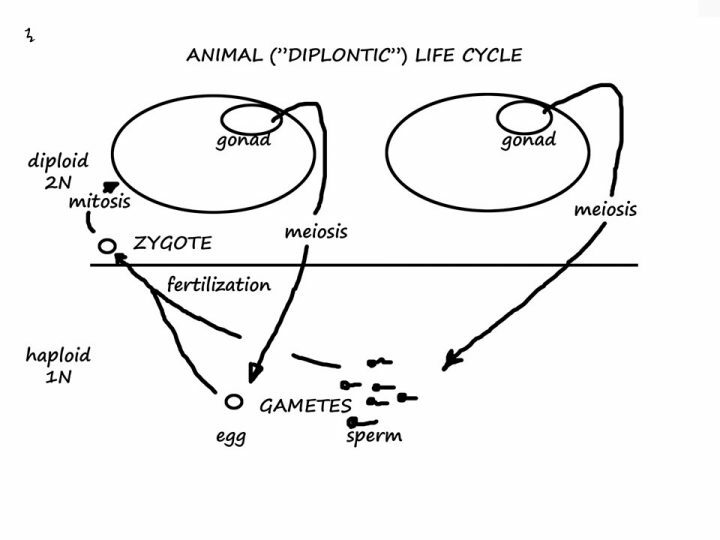 Double fertilization is a unique angiosperm feature that ties food (endosperm) development to the presence of an embryo in need of nourishment.